The Deluxe Dried Fruit Tray features an array of gourmet fruit, tree ripened and handpicked, including pears, yellow peaches, dates, Angelino plums, and more. Drying intensifies the delicate flavors of the fruits and brings out the natural sugars. 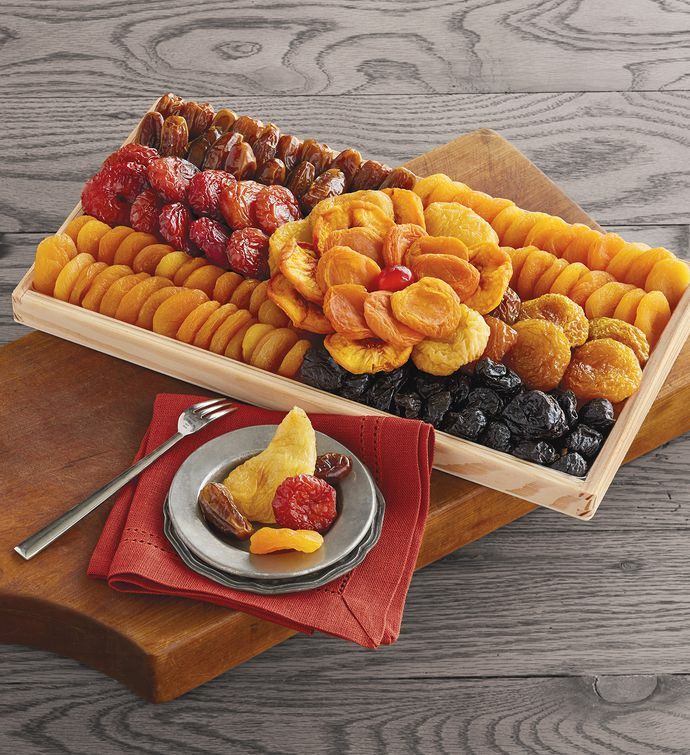 Presented on a wooden platter, this deluxe assortment is perfect for entertaining.